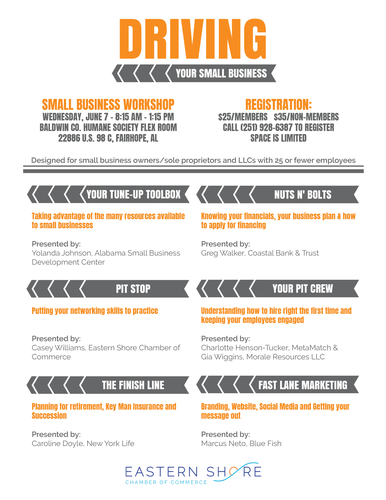 The Driving Your Small Business Workshop will focus on several key areas to help our local small businesses become successful. Seminar topics are listed below. Lunch will be provided. The workshop is designed for small business owners/sole proprietors and LLCs with 25 or fewer employees.